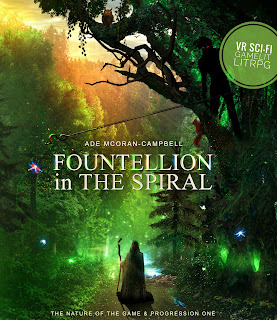 You can now access the full (litRPG / GameLit) book 'Fountellion in the Spiral: Progression One' for FREE on Wattpad, as it continues to be updated. Suggestions for edits are welcome and appreciated. 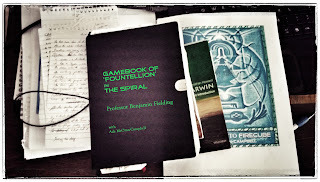 Both 'In the Spiral' and 'Fountellion in The Spiral' have been revised a lot since initial publication, or to improve readability on kindle. Authors: would expect this to be an automatic process in the KDP publishing tools (which are otherwise pretty good), every time we make a decent revision, or at least that we could have control of that option. Actually, I've just discovered that we have to contact the Support team in order to 'push' any revisions via Amazon who will then notify the readers with your book on their app/devices. Well, I've now done this, so expect to see some sort of notification, so you can update to December versions of these books (see also under 'Manage Your Content and Devices' in your Amazon website settings). Play the game you’re already playing… only better! We invite you to Fountellion, through the green gate which will soon be unlocked, for all things to appear as they truly are... upon an island... of nature, change and inspiration. For this VRMMO Super-World will depict nature so intricately it will be astonish and enthrall you. Plants, mammals, birds, insects - birth, evolution...and death... This is a simulation of Life based on a Taiga-like forest biome. At its heart lies the Fountain but there are six, key, symbolic areas. They are the Estuary, the Fountain, the Monastery, the Village, the Fire and the Spiral Tower. Within these regions lie hidden Insights ‘in green light’ that reveal secrets not only of the island but of nature and our place inside of it. They can only be experienced uniquely, activated by deed and spoken word. What will you bring to this vast, open-world ‘game’, a lifetime in the making. And what will you take away? How much will you be changed, when you emerge into the sunlight blinking, after so many sessions ‘connected’? The island world of Fountellion is set to be as extensively made as any of the top Spiral Game-worlds have been, only better. It’s reported to make a more fluid and intoxicating use of the Spiral interface than we’ve yet seen (so of course, you’ll be forking out on the Homekit). It is based on aspects of the Neuroceans title, ‘the Game of Being’, only far more elaborate in terms of game experience. But what of the ‘game’ itself? ‘Enter into Nature’. So it’s an open world game, a free-roaming, experiential adventure-survival game, inspired by nature. However, in this game a player has powers that are more magical and enhanced than outside, here, in our humble Source reality. Rumours are that the Division have really ‘opened’ the specs on the Spiral Interface. So...be prepared. If there is any core item our review team will focus on - it will be this. But as yet, we can’t get any more details beyond the gesture-led EEG and breathing combinations. If it is to be something special, then we feel it needs to be more intuitive than ever. ‘Attunement’ here we come..
LANDSCAPE and NATURE = awesome. ARTIFICIAL LIFE = tons :)! If Division rumours are confirmed this could be mind-blowing. An ecosystem is living and breathing around you, which means we’ll see a lot of serious emergent behavior in a fully inter-connected, evolving food chain. From insects, birds, rodents, rabbits, deer to... wildcats and wolves! How will these interact with players and affect gameplay? Good question. Will it be typical hunting and resource-gathering gameplay? Yes... and more… since you’ll be able to ‘ride’ and make use of most creatures, but that’s all the details we have. Players will surely need to learn their place, however, and we reckon this probably means seeking shelter and earning your keep with the local inhabitants. QUESTS = survival-based, but also spiritual or pantheistic(?). We’ve put two and two together. This is a nature-inspired game. So expect the simple - or complex - task of survival to be at its core. We can see suggestions of a more human-orientated quest, but no details have emerged beyond the presence of a form of spiritual wisdom gleaned via ‘insights’ into the natural world. The ‘Game of Being’ returns? GAMEPLAY MODES and POWERS = interface. It’s expected that these will be ‘intimately and ultimately’ linked with the interface to create an optimal experience of a game designed to be ‘experiential’. Hmm, sounds like life! Ever wondered what it’s like to be the size of a grasshopper, within the jungle of grass towering over you? Ever wondered what it’s like to turn into a wildcat, and survive for weeks roaming as one? Or what about a bird, or many such animals caught within the ‘balance’ and struggle of the island life. A.I. / PvP / PvE / MMO = yes ! What will be the available game modes - optional or inherent? Well, we can reveal a few things here via an unofficial DD source. They’ve said that there’ll be a mix of NPC and other players, allowing - technically - for both PvE and PvP situations. But how will the latter benefit progression? Not a lot. Or... as much as a brawl in a bar benefits anyone trying to win friends. It might help clear the air. Or not. This is a survival or PvE game primarily, but we reckon that cooperation will be essential, especially in the Village area. We’ve been able to create a list that could be a great head start… Share wisely! 'This project has virtually killed me. For I am not active on social media or across the V-web; all those channels that today make us real to one another and ourselves. So I'm a ghost, more so than my vacant PIP. It keeps trying to contact me from across the v-divide to notify me of too many notifications. I respond to only to Spiral items and just keep it from wandering off - contained - from collecting anything more. It must be this way, for I don't want people to know about me. I’m done with sharing, for now at least. My views, my status, my whereabouts or immediate temperament, my photos of my pets and of the sunsets I see on holiday. They can wait. ...So often do I think of Blake and Rosa… The contributions they could have made! Our experience with the Neuroceans has taught me many things about the danger of what we make. And it's this I bring to the table, some days more than anything else I have to fight to limit the vision we will make. And so it is that through that very vision - itself - do I feel myself dying further, becoming less and less willing to submit to anything else. Yes, I’ve read some of the reports, heard the rumours and followed the ‘Fielding testers’ but they say anticipation is nine tenths of delight and I actually enjoy just visiting the doorway and gazing across at it. I was one of the first who came across its appearance in the tower, and was able to bookmark the virtual location. What strikes me is how authentic it appears to be; how simple; how non-glitzy it seems in comparison with the growing hype. I gaze at the images of animals that appear in the stone carvings around the rusted gate, overgrown with ivy. I put my hand into the mass of leaves and try and use haptics to detect a latch or a keyhole. Yes, there is a small chance that if I loiter long enough I may be one of the first to witness its opening, but in truth it's not so much this which keeps me coming back. I actually enjoy just ‘being’ opposite, under the pergola that forms part of the design, sitting on the stone bench beneath it and discussing its potential with other users and ‘floaters by’. Also, I’m fascinated by the doorway less for what it may actually deliver and more by what it promises to deliver. It’s like loving a trailer for some old, linear movie, more than ever seeing the movie itself and without ever feeling the need to see it. I have seen a cat, a wolf and many a bird appear in the carvings. What role will they play in the game and how will they feature? Will we be able to embody them, to see through their eyes? I have seen a human face too. Sure, I have played games. I have been both a designer and shaper in my time and my PIP reveals many progressions and Know-Zone XP. But mostly these days I write and reflect. My Spiral avatar is ‘SourceMage8’ and you can look me up and leave me a message. Or join me on my next visit to the doorway, after you’ve managed to find it yourself that is. It won’t allow me to share the bookmark. I think it’s wonderful. The mystery I mean. That it retains such a mystery in all this age of information. A new creation captures the imagination with its promise of change and power… involvement… new meaning. And it makes me think about what it might mean to be a ‘Gatekeeper’. What might I, myself, want from such a role, and what would the world provide for me? What would I like to see beyond its leafy design, the long grass and wildflowers I have seen changing on its step? Will they entangle me? I am trying to answer the question. I think over many of the experiences and games I have seen and played which have been simply fun and those that have helped me or moved me. You may come and discuss this with me as we wait. You know, I meet some interesting and influential people, from new cyberpunks to high-profile guises. I think I may have met Fielding himself, wearing an old, brown cloak. He sat beside me for a time. And I like that I still don’t know if it was him - and that I might find out yet. The talk we shared was... memorable. Why do we keep following the latest games? Why do I sit here and expect more? Few games have ever satisfied me enough, even the latest, ambitious, big budget titles, vast in scope. Anyway, my gaming days may almost be past. I would be content almost not to enter and just to read all about it, watch feeds and view the walkthroughs. Or just to linger there. Unless, of course, it is a world that proves somehow… ultimate. That fills me with life again. Or like in the Know-Zones, when one sees things in a new light. And understands. Where I sit and ponder on the spiralling stairs it is a little dark so I have shaped a virtual lantern myself. It casts a glowing green light and I will take it with me as far as the fabric allows, through the doorway, when it opens. What would YOU find in Fountellion, or an ‘ultimate game’? Natter us now or enter below! As we all know, 'books' evolved rapidly into open docs, and now exist as these living, or sleeping, rated entities, from low to highly interactive 'open documents' that readers follow and pin to their accounts, and are notified when major updates or changes occur. They can harbor all kinds of interactive media. A bit like game-worlds. 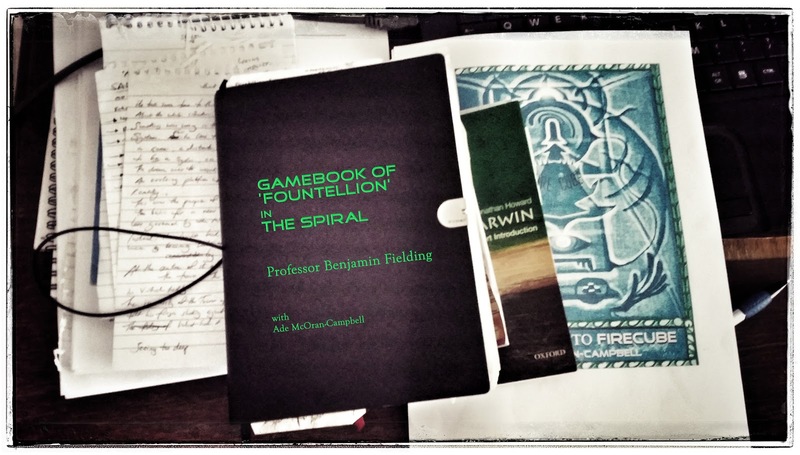 And this is what - it seems - our elusive, good-intentioned old 'professor of game-worlds' Benjamin Fielding favored when he asked his old Spiral developer friend John Leaven to preserve something of the story of their vision. 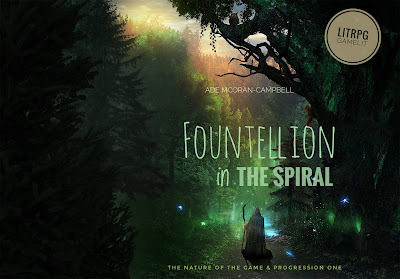 And here we have them - the emerging 'books' about the Spiral's formation and the beginnings of 'Fountellion', its gemstone, still shining today. 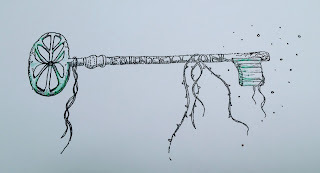 You can read this collation of emails, accounts, blog entries and development notes here at The Spiral Times: 'In The Spiral'. The collator makes it clear that much of it came from collaboration with John Leaven, one of Fielding's closest friends and allies. At last, the rocky story of 'Fountellion in The Spiral' becomes a little clearer. And what of this?...Well, time will tell, but there are strong hints in the book (and it's quite well-known) that the professor possessed also an original, 'game-book' of Fountellion...Yes, really. That he put together a sort of scrap-book or Source-book edition of his Spiral fragments, hand-written, with diagrams, insight outlines, sketches and private thoughts and entries. It would be almost a religious text, today, by the sound of it. As ever, the move to find such a book fits with the whole oeuvre of a Fielding project. There will be these digital editions and 'followed content' but people will also - if it is ever found - physically want to see this tangible game 'bible' or scrapbook for themselves. They may order their own copies so they can gaze down on the light reflecting off the nascent ideas and shapes of Fountellion. And the very possibility that this one book exists, subject to the winds of the Source, 'set in stone' and filled with direct markings stays in keeping to its whispering legacy and message... Slow down. Turn pages. Fountellion wasn't a dream. This thing was real in a larger sense. And its magic was very much a part of our world, not separated by any technology that brought us closer to it again.